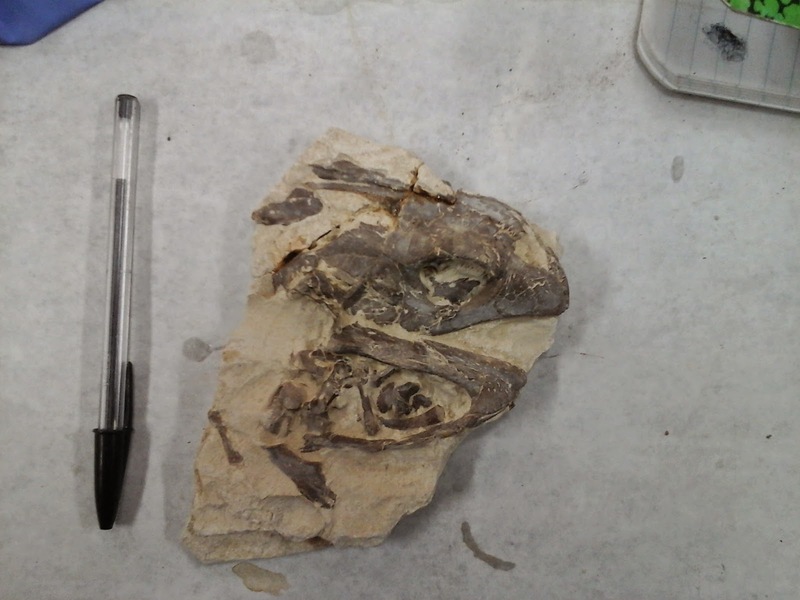 We spend a lot of time in Kansas hunting for specimens in the Niobrara chalk. A whole lot of time. Luckily the soft chalk erodes pretty quickly so we also find a whole lot of stuff. Occasionally though, other people also get lucky and we'll happily take the specimen off their hands. In early 2015 this exact scenario played out. You may have seen the result at our display booth at SVP this year in Salt Lake City, overshadowed by our exciting mount of our Daspletosaurus "Pete III"
A poorly collected turtle specimen from the chalk was being shown around looking for a buyer, While the collection techniques caused some damage to the fossil, it was plain to see a fairly complete tiny Protostegid was encased in the slabs of yellow rock. So, this is how we got it. Clearly not how we would collect a specimen. Most importantly, almost all of the skull was there, which is really nice. 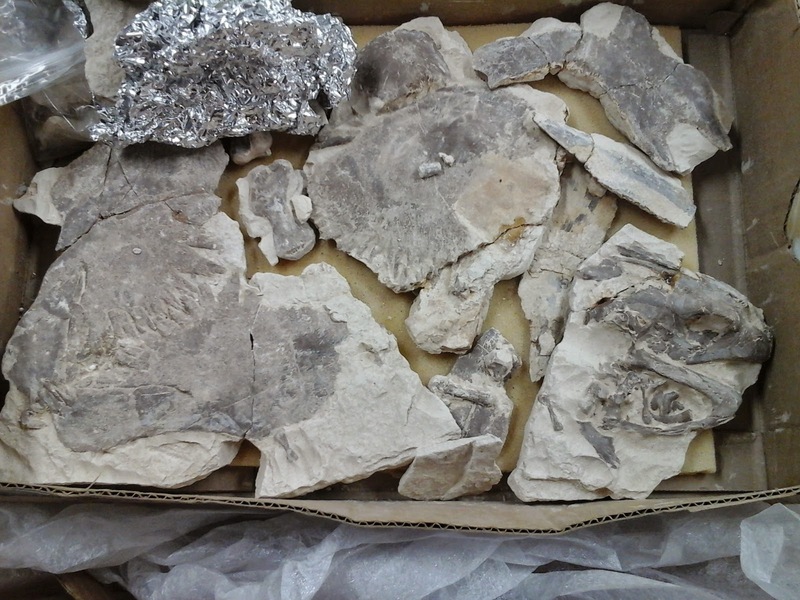 We immediately acquired the specimen and prepared the parts. 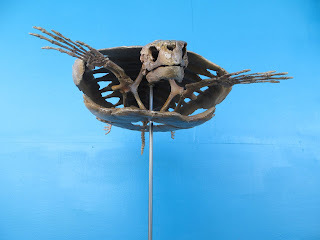 Quickly it became evident we had a older subadult specimen of the relatively rare taxon Chelosphargis advena, an 84 million year old relative of the much larger Protostega and Archelon. As you can see, most of the animal was there, in fact it's one of the most complete Chelosphargis specimens ever discovered. But what do you do with a pile of bones once they're all prepared? We're one of the few places with the knowledge, experience and capability to do a complete cast restoration without damaging the original bones. The first step was to mold everything as-is, so we can have parts (sometimes even multiples) to work with. 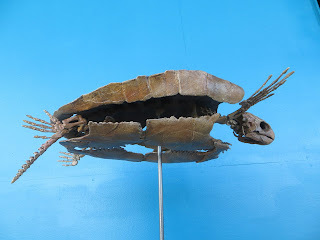 Distortion is taken out of the plastic and missing parts are either fabricated from similar ones from this animal, scanned in and resized from other specimens, or in rare cases done the old way with sculpting from reference material. 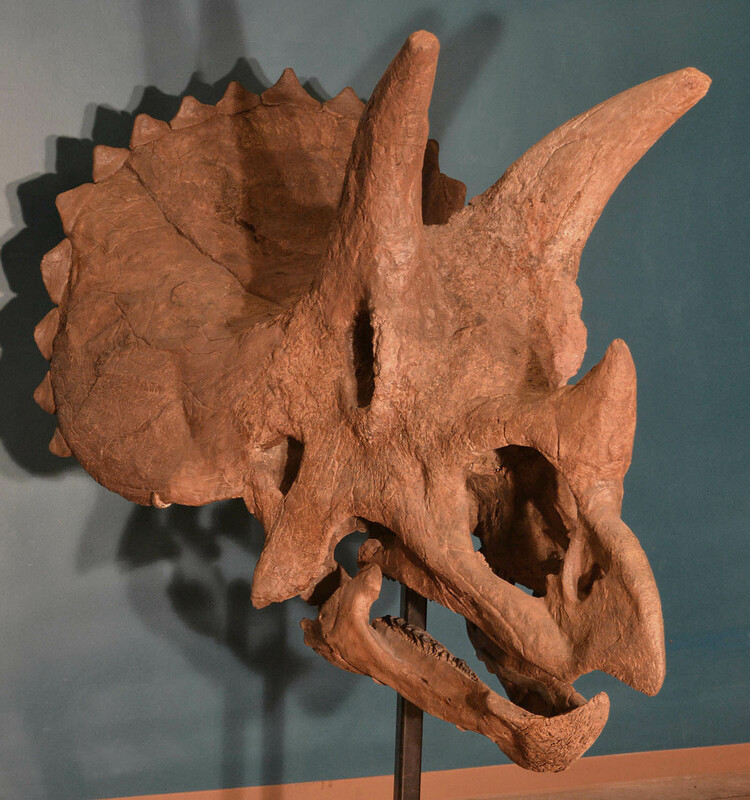 The restored parts are then molded again in units so that we can make our final copy and offer it to museums and the general public as a highly detailed cast skeletal mount, perfect for display anywhere. The entire project only takes a few weeks, but the result is pretty phenomenal!